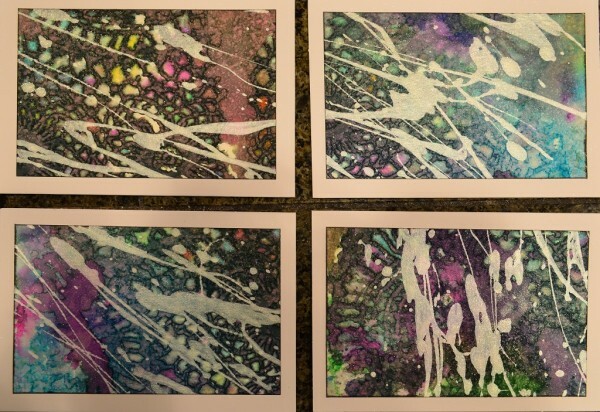 Anne’s cards are created using watercolor paper and liquid watercolor inks. In addition, they are embellished with a metallic paint as well as a pearlescent luster. Each card is unique and individually finished. It is her honor and pleasure to share these cards with you.